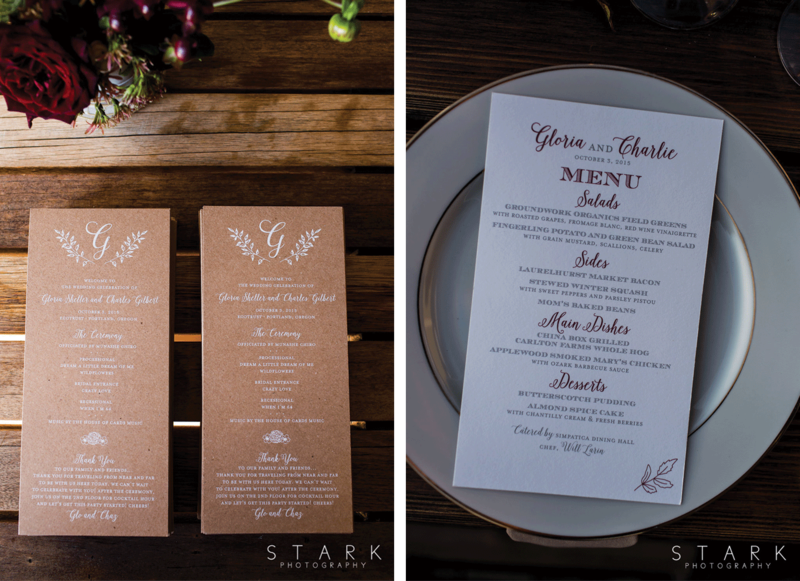 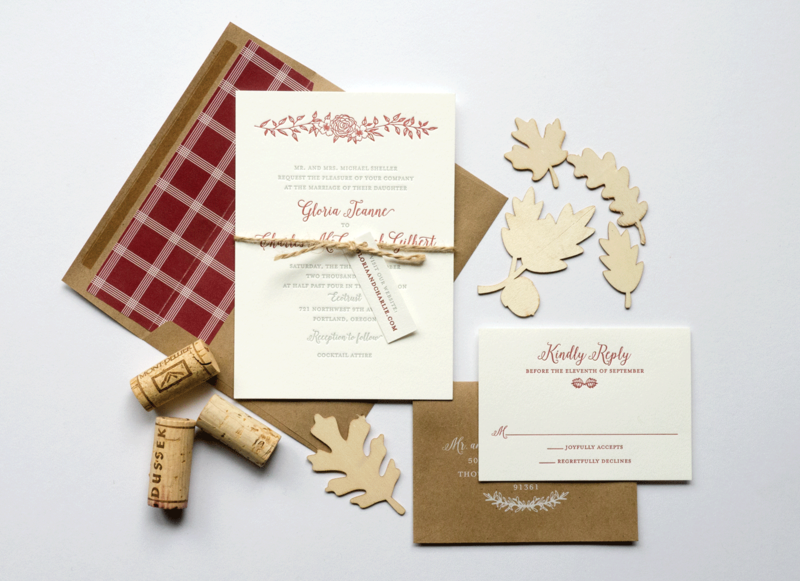 This simple and organic wedding invitation was reflective of the couple's personality. 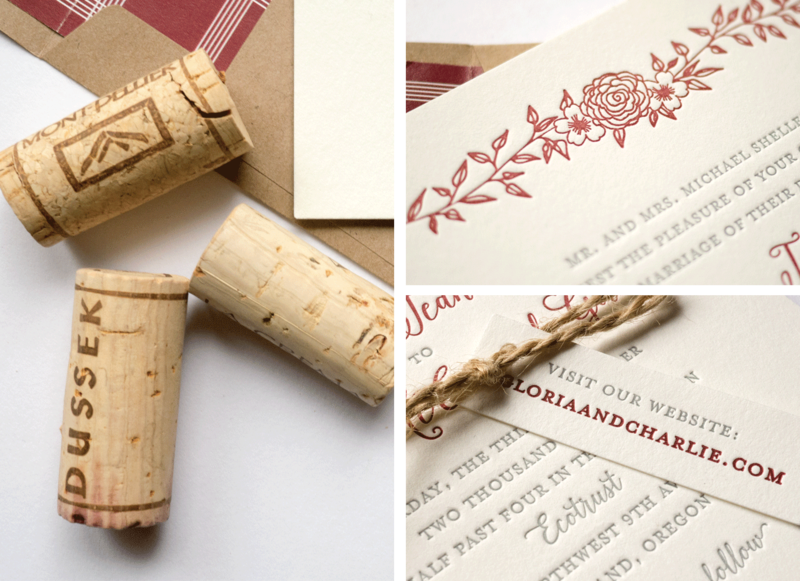 The vine graphic was created to pay homage to the groom's family owned vineyard. 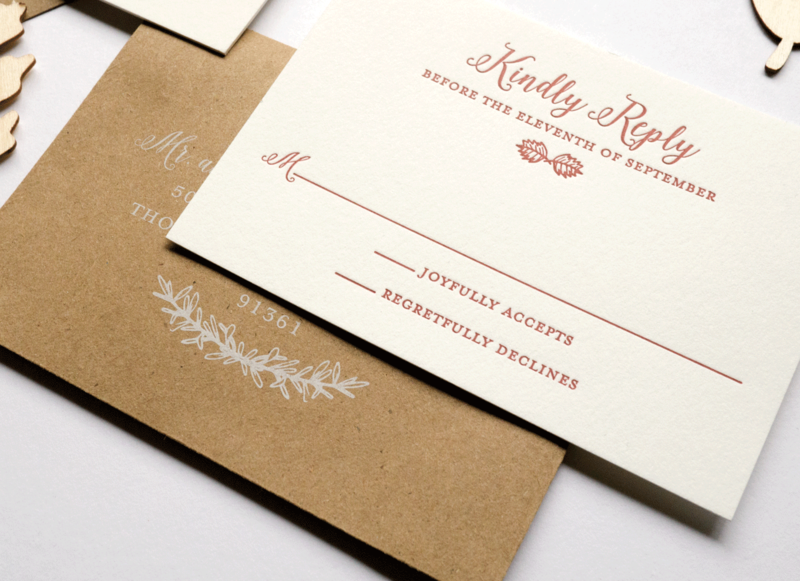 Letterpress and flat printed on thick cream cotton card stock. 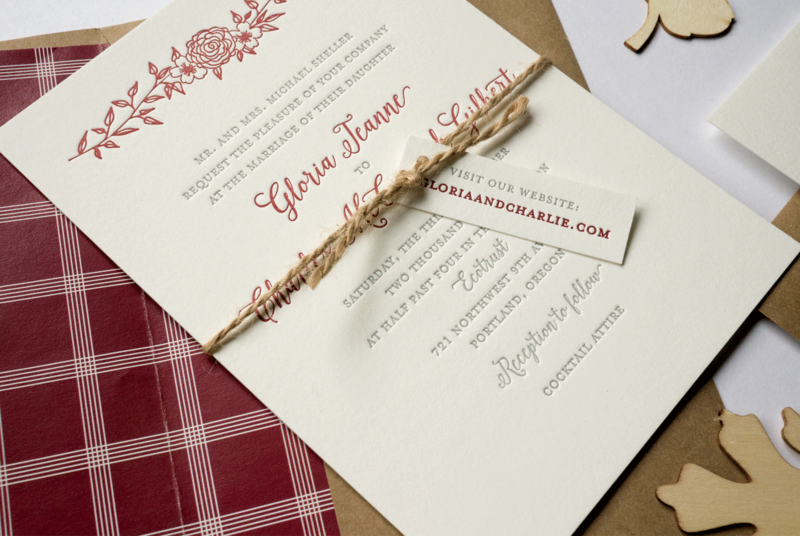 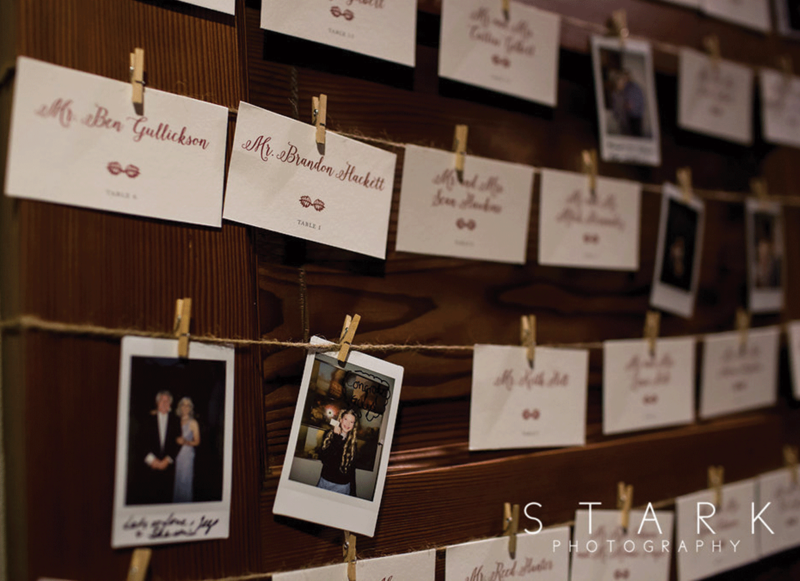 This wedding suite included an invitation, kraft envelope with custom tartan printed liner, rsvp set and website tag tied with twine.